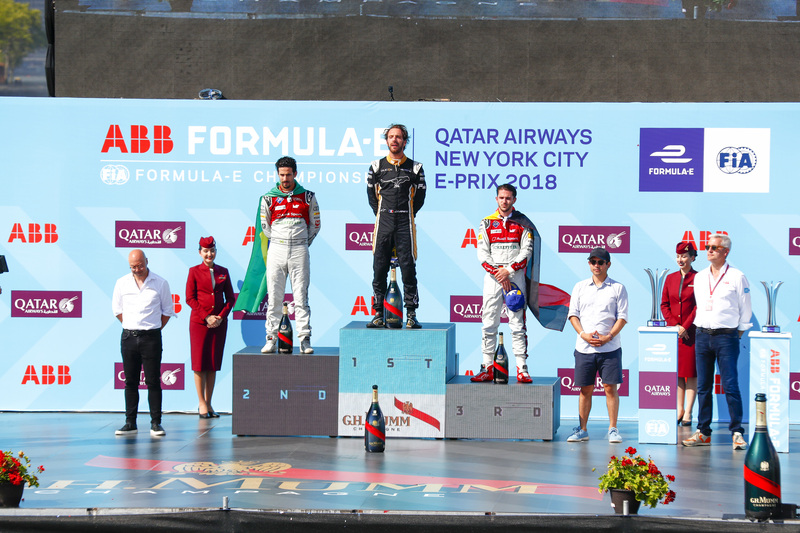 Techeetah's Jean-Eric Vergne, who clinched the Formula E world championship during Saturday's first of two races, climbed to the top step of the podium after driving his electric racer to victory lane on the streets of Brooklyn. 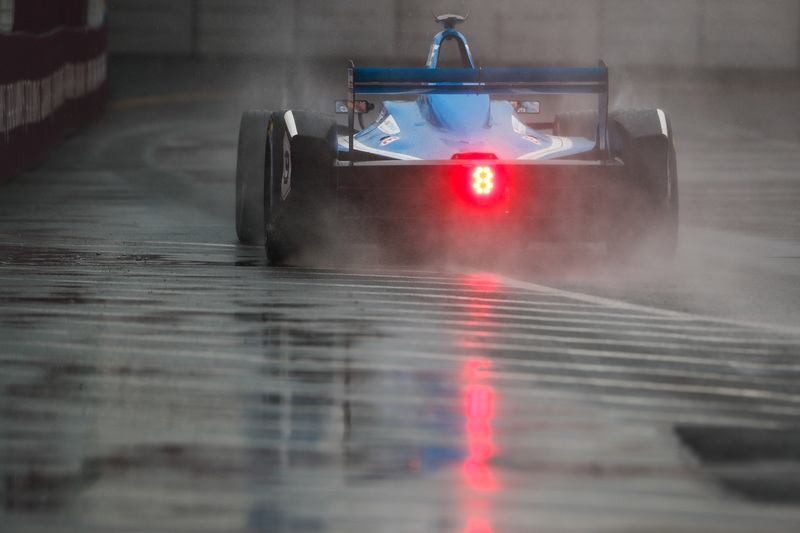 Thunderstorms and overcast conditions prevailed in the area during most of the morning, but the relatively damp track conditions didn't stop the Frenchman from making a lightning start from the third place on the grid. Vergne jumped pole-sitter Sebastian Buemi at the start as well as his teammate Andre Lotterer by lining up alongside them on the main straight and braking late and deep into turn one. Unfortunately, and despite not getting the best of starts, Lotterer was deemed to have jumped the start of the race and was handed a 10-place penalty which saw his chances of finishing on the podium completely destroyed, much like Techeetah's hopes of clinching the constructors' championship. 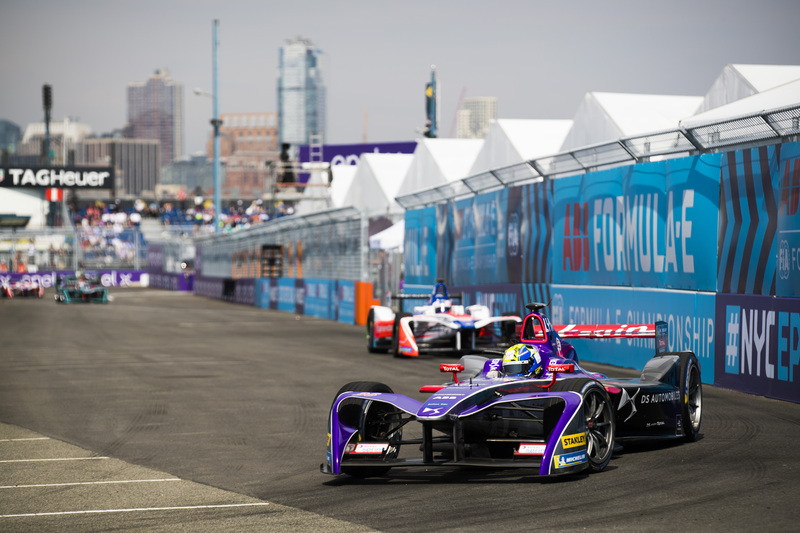 After it was all said and done, the Frenchman picked up his fourth victory of the season after fending off a hard-charging and outgoing title-winner Lucas di Grassi who pressured him in the late stages of the race and until the checkered flag dropped. 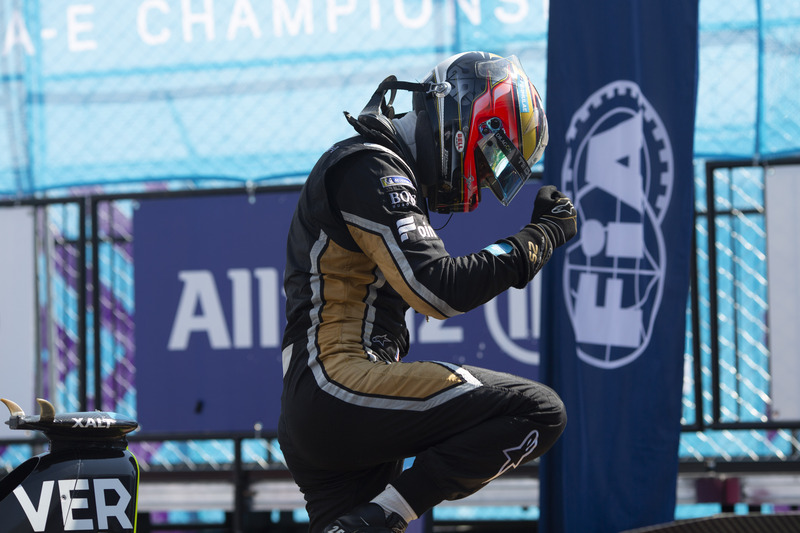 Now Vergne is free to celebrate becoming the fourth Formula E champion in as many seasons, and take some time off until all racing activities resume when season five kicks off in Saudi Arabia on Dec. 15.